You’re excused for believing independent bookstores were killed off in the late ’90s by big box retailers and the behemoth known as Amazon. Pittsburgh is known as a literary city and our neighborhoods are alive with thriving, local booksellers. Each of these stores has their own flavor, culture and specialties and is as varied as the covers they stock. Stacked from floor to ceiling, Amazing Books displays titles on shelves and tables with recently acquired collections in boxes in front of the register waiting to be displayed or gone through. This is a place where you can find a classic by Ernest Hemingway or a six-volume collection of the Talmud in Hebrew. 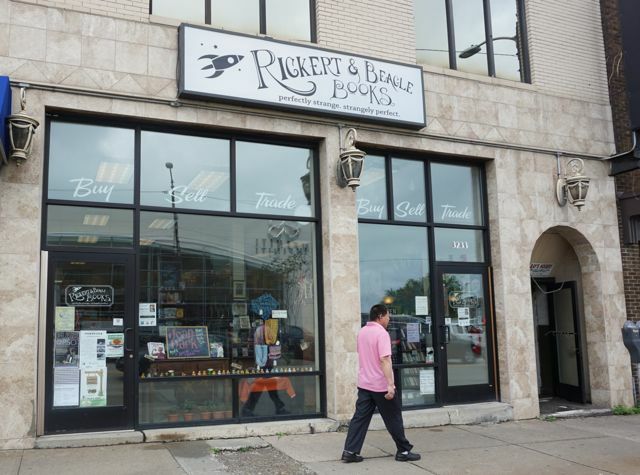 With two locations, downtown and Squirrel Hill, owner Eric Ackland features over 30,000 titles, about 99% of which are gently used. Amazing Books is an example of what makes the current crop of independent bookstores successful—they’re responsive to customers’ needs and requests and don’t over extend themselves with stock that doesn’t move. In October, Ackland added albums downtown which now make up 25-40% of its business, he says. Both locations carry a handful of new titles and offerings from local authors as well. Ackland has big plans for Amazing Books, including a writer’s school downstairs at the Squirrel Hill location, which is currently celebrating its first anniversary. 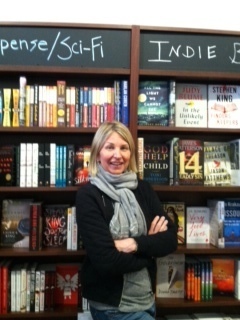 Susan Hans O’Connor of Penguin Bookstore in Sewickley. Hans O’Connor explains that they carry a carefully curated collection of fiction and non-fiction for all ages, as well as journals, newspapers and magazines. Like most of the stores, Penguin features author events and recently started the Penguin Bookshop Writers Series, presenting authors and publishers discussing the art and business of writing. Located in Oakland, Caliban Book Shop features quality used and rare books, and feels like the type of bookstore you’d find college professors browsing during lunch, searching for an obscure Renaissance book or Beat tome. Desolation Row, located in the front corner of the store, specializes in indie, folk, jazz, Americana and blues LPs and CDs. 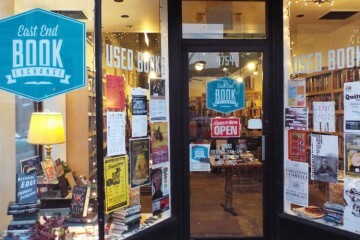 The store, which also carries books and ‘zines by local authors, is unique in Pittsburgh and has been a much-loved presence on S. Craig St. for decades. Ask most fans of the local literary scene where to hear an author reading on any given night and the answer will likely be East End Book Exchange in Bloomfield. For good reason. Owner Lesley Rains says “we do about 50 events a year, most weeks we have at least one event, sometimes two, occasionally we’ve done three.” Although the inventory is about 95% used, the store carries prominent new releases and local authors with an emphasis on the humanities—contemporary and classic literature, poetry, history, travel and more. East End Book Exchange highlights just how the indie scene has developed in the city: It started as a pop-up store, grew with its customers and now has a permanent location and stocks about 8,000 titles. Bil Boichel of Copacetic. Photo by Brian Cohen. 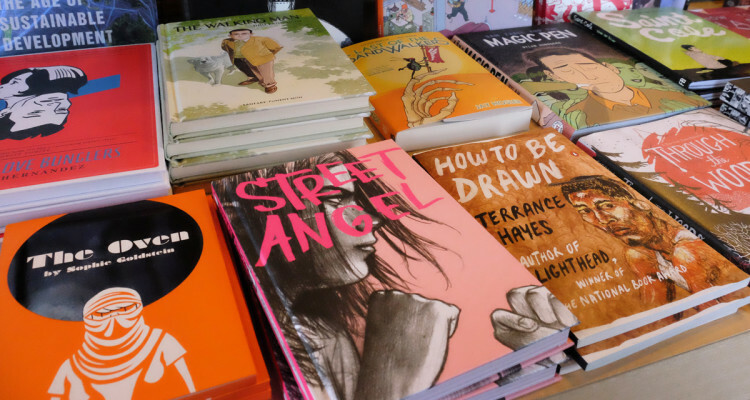 Tucked into the top floor of a three-story building in Polish Hill that houses a coffee shop and record store, Copacetic Comics specializes in comics and graphic novels by major and very small presses and self-publishers. Owner Bill Boichel speaks with pride of the hundreds of titles you can only find in a half dozen shops throughout North America. “There’s us, one in Chicago, one in Portland, one in San Francisco, one in Baltimore and one in Toronto,” he says. 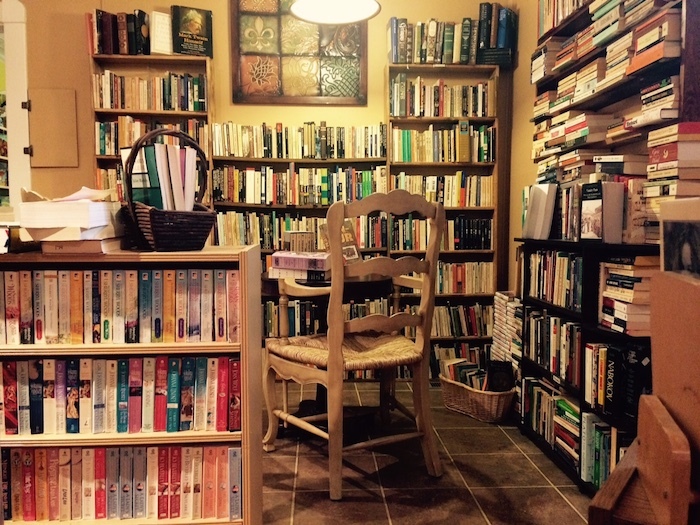 People have often mistaken Copacetic for a used bookstore but they are a full service new bookstore whose stock is tailored to their customer base. Boichel also carries many local authors and features events at the store with talented artists such as Ed Piskor. Beyond Bedtime Books on Potomac Avenue in Dormont. 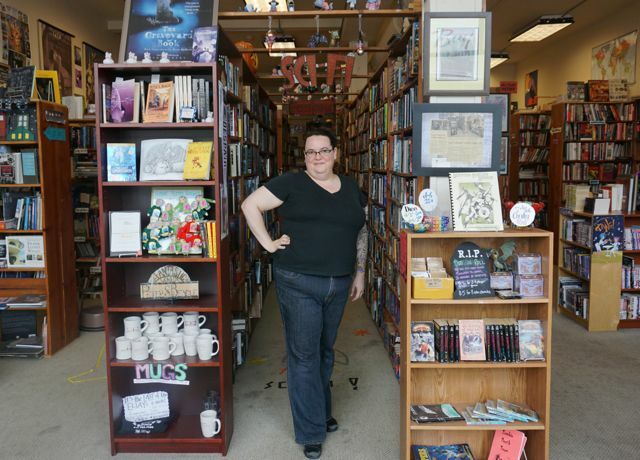 Dormont boasts two indie bookstores. 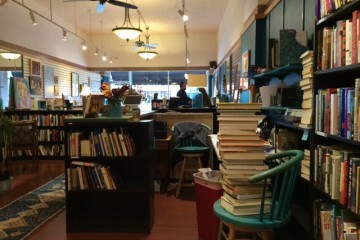 Beyond Bedtime Books is a charming new and used adults and children’s bookstore which has been on Potomac Avenue for 30 years. Customers call it adorable. Don’t miss the the cozy reading corner in the rear and beyond that, the children’s room filled with books, especially vintage children’s book which is a specialty. Owner Jamie Grassman also stocks local author books. This is a gem on a great walkable street. Emphasizing the wonderfully strange, including science fiction, horror, the occult and fantasy, Rickert & Beagle Books first moved to Dormont in 2011 under its former name, Eljay’s Used Books. Co-owner Chris Rickert had previously run the Joseph-Beth store on the South Side and was looking for an opportunity. “I think every book lover wants to own a bookstore,” she says. Since taking over the store about a year and a half ago, Rickert has breathed new life into the shop. Located on West Liberty Avenue in Dormont, the store’s clientele consists mostly of South Hills shoppers taking advantage of the walking atmosphere the neighborhood presents and those seeking an opportunity to browse, uncertain of what they’ll find. It could be a Neil Gaiman print, a rare title or an Edgar Allen Poe sock puppet. Since 1990, Mystery Lovers Bookshop has given Pittsburghers an opportunity to shop at one of the largest and most successful mystery bookstores in the country. Owner Trevor Thomas purchased Mystery Lovers about two years ago. He’s quick to point out that while they specialize in mystery, crime fiction and the like, they don’t stock it exclusively. “We carry other fiction, children’s books, local authors, puzzles, games and more,” he notes. Thomas says the success of the store is due to “the fantastic community that it can count on for support. They shop local and because of this trend across the city and nation, indie bookstores are making a comeback. With bookshelves made of repurposed wine cases and his personal book collection of close to 1,500 titles, owner Dan Idding followed his dream of owning a bookstore and started Classic Lines in Squirrel Hill. The store quickly moved beyond his own titles and now carries about 60% new books. Idding knows his customers and buys according to their needs. “A lot of what’s on the bestsellers list doesn’t sell here. I call it the Costco effect. If you can get it at Costco I don’t need to carry it. It’s not what the neighborhood wants.” The store hosts events that feature everyone from local authors to visiting professors of constitutional law and now has its own book club, giving readers an opportunity to read and discuss works with a group. Rickert & Beagle in Dormont. Photo by Tracy Certo. Beginning in August, Brookline will have a bookstore to call their own as well. 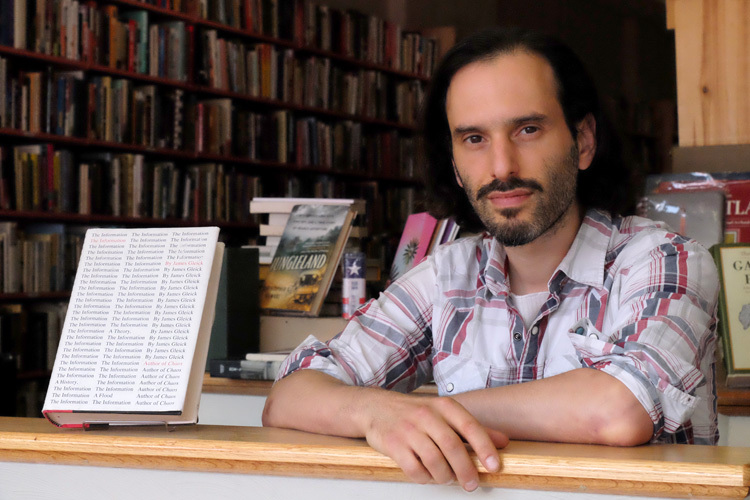 Arlan Hess purchased the former South Side mainstay City Books and is reopening it on Brookline Boulevard near Cannon Coffee. Arlan said the store will have about 9,000 used titles and will feature local authors. 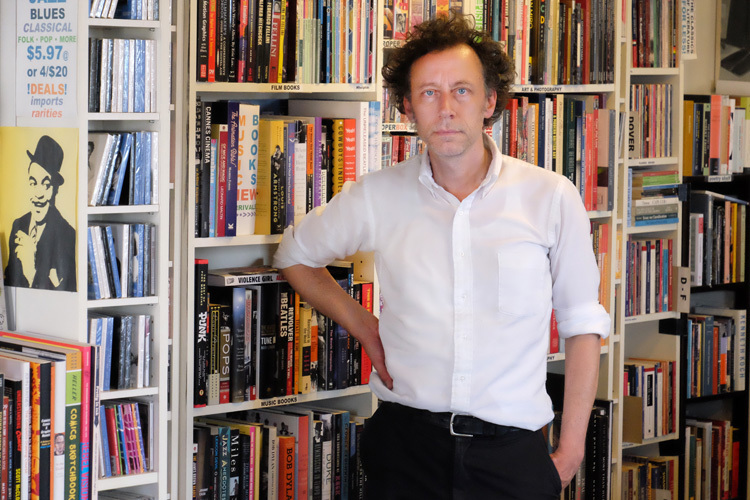 “It’s not possible to be a community bookstore without an active events calendar,” says Hess, who is eager to be part of the independent publishing community. Got a favorite local bookstore in your community that we missed? Readers suggested this one on Lowrie St: Spaces Corners, an artist-run photobook gallery and project space that’s open Saturday afternoons and other times by appointment only. “Our bookshop is carefully edited to reflect important trends in contemporary photography that we hope will inspire and educate our visitors,” they say on their Facebook page. Check it. Comments and other suggestions welcome. and by appointment throughout the week. Photos by Brian Cohen unless otherwise noted.